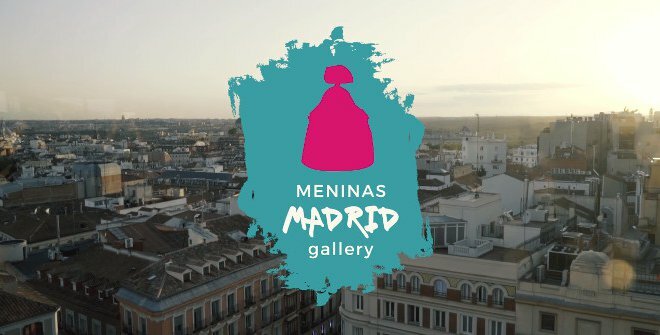 Meninas Madrid Gallery is an outdoor exhibition in which you will come across the famous protagonists of Velázquez’s masterpiece especially dressed for the occasion. Would you like to find out more about this event? Read on. Throughout spring, on the streets of Madrid we will be able to see 80 sculptures of the famous Meninas decorated by all kinds of celebrities, such as Enrique Ponce, Ágata Ruiz de la Prada, Blanca Cuesta, Domingo Zapata, Jordi Mollá, Nieves Álvarez and Carlos Baute among others. All of them were asked “What does Madrid mean to you?” and their response was a more-than-adequate way to dress such legendary art figures. Many areas of the Spanish capital, such as Gran Vía and Sol, will be taken over by this initiative. Both Madrid’s commercial avenue par excellence and its most famous square will come together for what is a well-deserved tribute to this work of art which is visited every year by thousands of tourists from all over the world who go to El Prado Museum just to see it. Without doubt, you will be impressed by the most daring and colourful samples. A good plan is to establish different routes around the city in search of your favourite menina and, of course, taking a selfie with the sculpture you like the most. This is yet another activity added to the city’s already-packed spring leisure programme. It is important to highlight the effort put into this by the different designers, artists and professionals from all artistic fields. Each of them has managed to convey, sometimes in a simple way and others in a majestic manner, their personal view of the city, which is why we recommend that you do not miss this unique opportunity to walk around the outdoor museum which Madrid is going to become this spring.